Kiran Rao’s directorial debut, Dhobi Ghat is an interesting film that doesn’t quite fit into any Bollywood genre. It is shot beautifully and is all about the mood it creates. It doesn’t have a concrete story to tell and doesn’t have a point to make… that’s the USP of the film as it invites you to relax and just soak in the atmosphere on-screen. Having said that, you need patience with the film as it moves at a leisurely pace, despite its short run-time (95 minutes). Dhobi Ghat is about Mumbai and people from different walks of life who make up the city. Through an interesting narrative, the writer-director connects the four principal characters and their lives. Arun (Aamir Khan) is a reclusive artist who discovers an unlikely muse in Yasmin (Kriti Malhotra), a newly married girl who is adjusting to the city and misses her previous life. Shai (Monica Dogra) is an Indian-American banker on sabbatical who wants to explore the city and its people through her camera; she finds Munna (Prateik Babbar), a dhobi (washer-man) by the day, a rat exterminator by the night and an aspiring actor, to be her guide. While Aamir is good as usual, the other young actors get more prominence in the film and deliver fine performances. Prateik as Munna is the highlight of the film as you instantly connect with him and his sincerity. A well written character, enacted with ease by Prateik, you relate to Munna’s hopes, dreams and disappointments. The other heroes of the film are its background score and camerawork. Oscar winner, Gustavo Alfredo Santaolalla (Babel, Brokeback Mountain) has created a beautiful soundtrack that helps create the film’s mood with Tushar Kanti Ray’s visuals of rain-drenched Mumbai. Dhobi Ghat is a nice experiment and thanks to the aggressive promotion is getting in the audiences too. Success of a film like this will certainly encourage other filmmakers to try different genres. However, is it a film that blows your mind? I’d say no; not because it’s not well-made but because it doesn’t seem that it intends to do that. The film sets the mood, there are some sequences that go straight for your heart but overall it stays a bit cold. 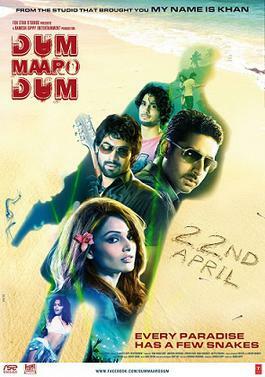 It is a nice film that is worth watching for its treatment and Prateik Babbar but do not expect something extraordinary.